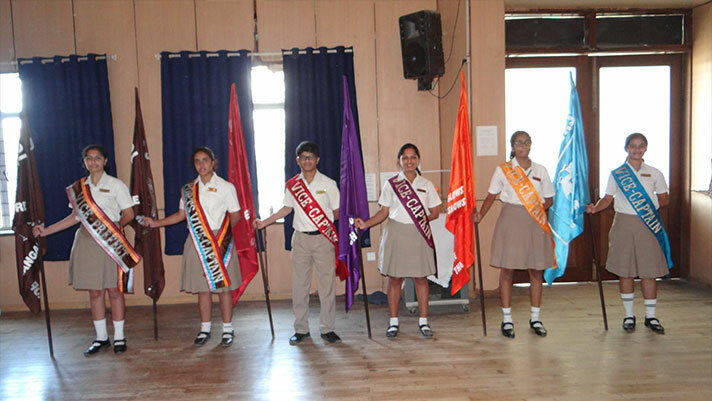 Grade 12 handed over the reins to their juniors in the Handing over Ceremony on 17th January 2019. 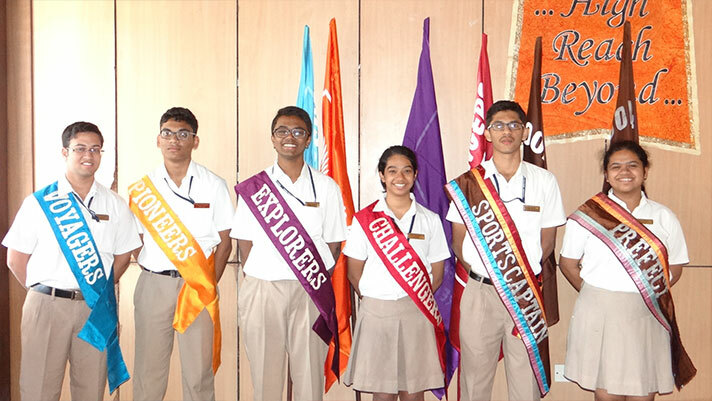 It was both a solemn and exciting moment when the graduating seniors passed the top positions earned so dearly to their worthy successors. 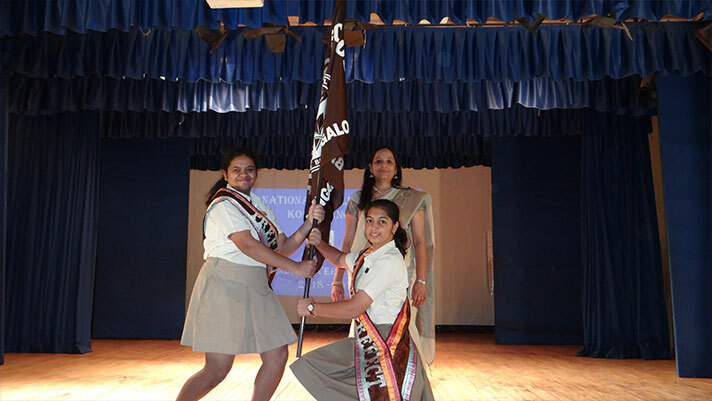 The 11th graders marching confidently received the school and House flags and stepped into the shoes of decision makers. 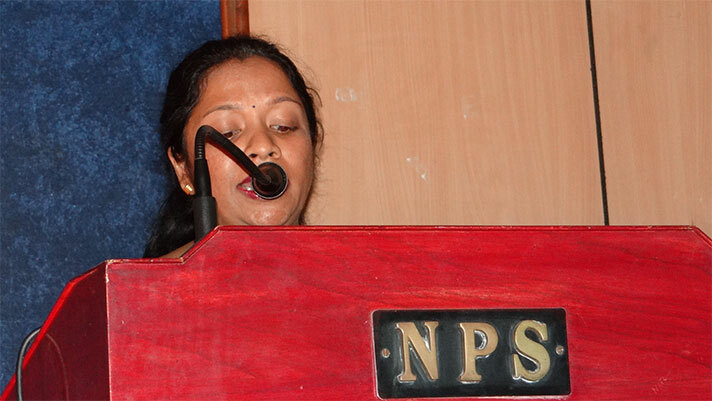 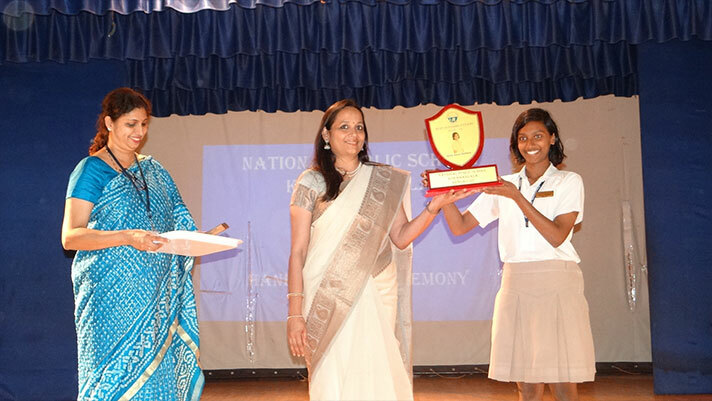 The principal Ms. Jyotsna Nair announced Neha Anna Matthew as the recipient of the Best Outgoing Student award. 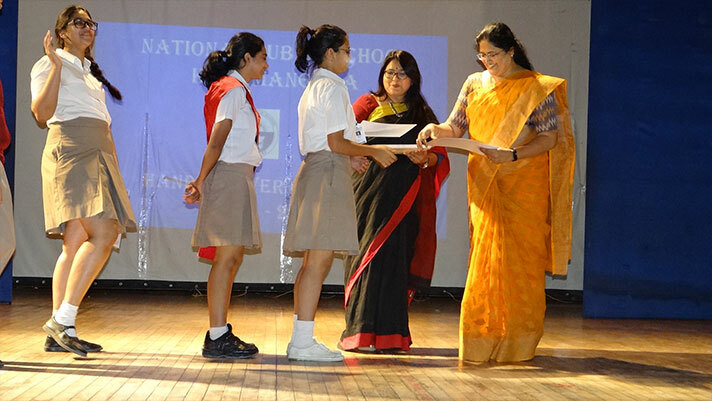 All Grade 12 badge holders and winners of various inter house competitions from Grade 12 were presented with Certificate of Appreciation for the commendable job carried out through the course of the year. 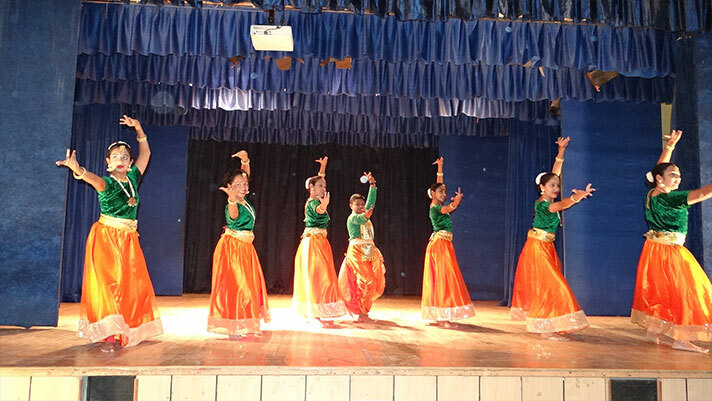 Grade 8 students performed a captivating dance based on the unstinted dedication of Eklavya for his guru Dronacharya. 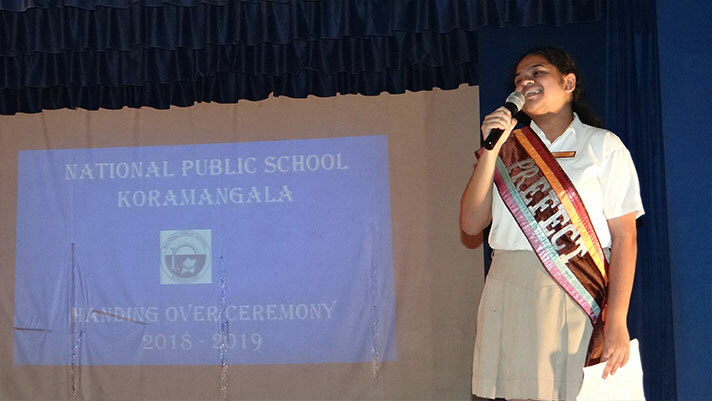 In their speeches the outgoing Prefect Neha Sharon Jacob and the Best Outgoing student Neha Anna Mathew moved the audience by their poignant words recalling all the sweet memories they made in their dear alma mater. 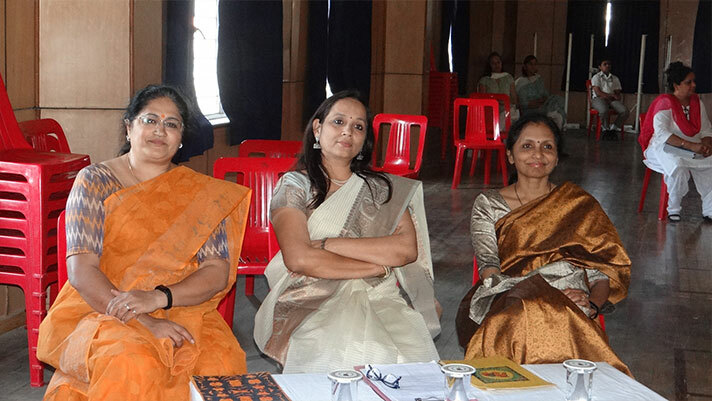 With moistened eyes they expressed their love and gratitude towards all the teachers and fellow students who have been with them for the last 15 years. 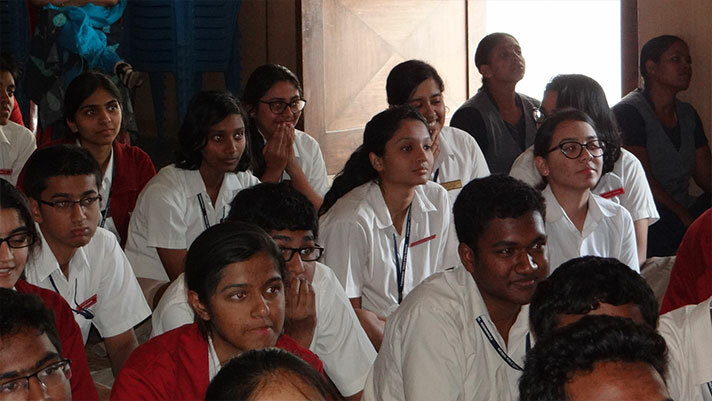 Later, the band and the Acapella, their last performances, enthralled the audience. 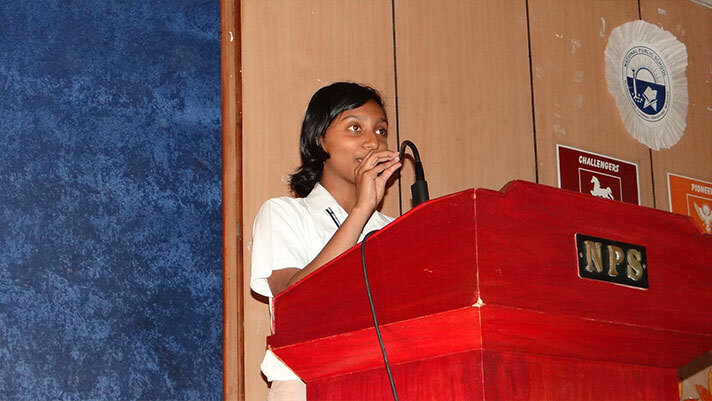 Presentations on CERN visit and Teach PoWer proved very informative and engaging. 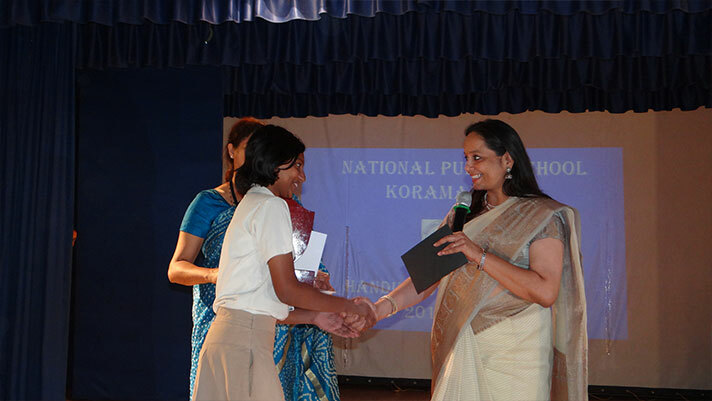 Finally, the points for cultural Trophy were announced and the Pioneers emerged the winners.